Hi, I'm Phil. We are a family run locksmith business in West Malling. We love what we do and are happy to answer any questions you may have so please feel free to contact us via phone on 01732410131 or email by clicking here. We believe our local knowledge and reputation is invaluable giving customers peace of mind when calling. We don’t believe in call out charges or any hidden costs, and you only pay the price we’ve quoted once the job has been completed. - We are competitively priced and any quote will be beaten. Offering a 24/7 service for both domestic and commercial customers, we aim to be on site with an average response time of 20 minutes. We cover Kent and all surrounding areas from King Hill to Chatham and Maidstone to Sittingbourne. We are conveniently situated near the M20, meaning quick and fast response times in emergency situations or if your locked out. We pride ourselves on a friendly and professional service and strive for 100% customer satisfaction. A large availability of locks in stock, we aim to complete the job immediately. EMERGENCY LOCKSMITH - We specialise in non-destructive techniques to gain entry to your property without causing damage. Destructive lock entry to get you back inside is always a last resort and never our first option. DOMESTIC & COMMERCIAL - No callout charges and quick responses mean our customers can rely on us deliver the best lock services possible. 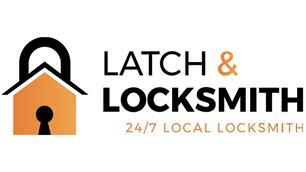 Latch and Locksmith will be there for you. 2O MIN RESPONSE TIME - Whether its early morning or the middle of the night, we assure customers of a 24-hour call service with a 20-minute response time within the Kent area. UPVC DOOR SPECIALISTS - Our locksmiths have expertise in replacing and repair of locks in UPVC doors and windows. Call us to find out more on how we can help. FULLY INSURED - Giving you peace of mind that you’re secure in your home or business premises, we are DBS checked, fully insured and trained. We accept Cash, bank transfers and also take most major Credit and Debit cards as we understand emergencies don’t always happen at the most convenient times of the month.